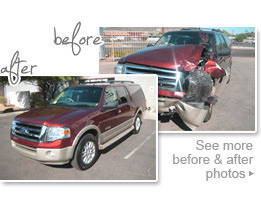 Andy’s Collision Centers are full service Automotive paint and Collision Repair Shops with three convenient locations across the Phoenix area. 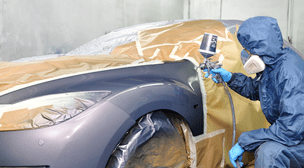 Andy's uses only state of the art auto body equipment and high quality BASF® paint products. We pride ourselves in delivering outstanding customer service and outstanding craftsmanship. Andy's has repaired more than 95,000 vehicles over the last 60 years. We specialize foreign and domestic vehicles and we have the facilities & the expertise to take on any paint or auto body repair job. Andy’s Collision Centers offer a lifetime guarantee on all services performed, including parts, labor, and paint for as long as you own your vehicle. Learn More By Clicking The Link Below! NEED AN AFFORDABLE COLLISION REPAIR QUOTE? Andy’s Collision Centers are full service Automotive paint and Collision Repair Shops with three convenient locations across the Phoenix area. We believe in high quality repairs, excellent customer service, and we demonstrate a commitment to honesty, safety and integrity. Your car will be repaired in a fully equipped service center with highly trained, insured and experienced technicians. All our car repair technicians have 10+ years experience in the Auto Body Repair Industry. We are so confident in our people and processes that we offer a guaranetee. Andy’s Collision Centers issues a Limited Lifetime Warranty with each repair that it performs. This includes a lifetime warranty on our workmanship and paint, and a manufacturer warranty on any parts replaced. Although it is not transferable, it is good for as long as you own your vehicle. Copyright 2018 Andy's Collision Centers. All rights reserved.